Do you regularly finish your day feeling like you haven't achieved anything? Do you race around like a headless chicken, to seemingly no avail? What is the point of being mindlessly busy, when you can never find the time to spend doing all the things you want to be doing? I had taken more risks. I made more time for me/spent more time with my family. I didn't lose touch with my friends. Regretting the things you never achieved is avoidable, but the key is starting to work toward what will make you happy. You know what you want. All you need to do is implement a framework to help you work towards it. Frameworks can help you achieve any number of things. We all like to think that life is much more free flowing than that, but the truth is, if you don't have a plan, you might never get there. When you write your to-do list in the morning, it will typically be made up of three types of tasks, the urgent ones, the important ones that have the ability to move you forward and the tasks that are neither of those but make you look and feel busy, therefore productive. Urgent tasks demand immediate attention and often involve other people or their goals. If you don't deliver it will be noticed, others will be affected, and it might lead to repercussions. Ultimately, we care what other people think of us, so we usually prioritise these. When we are focused on urgent tasks it often feels like a constant battle of putting out fires. 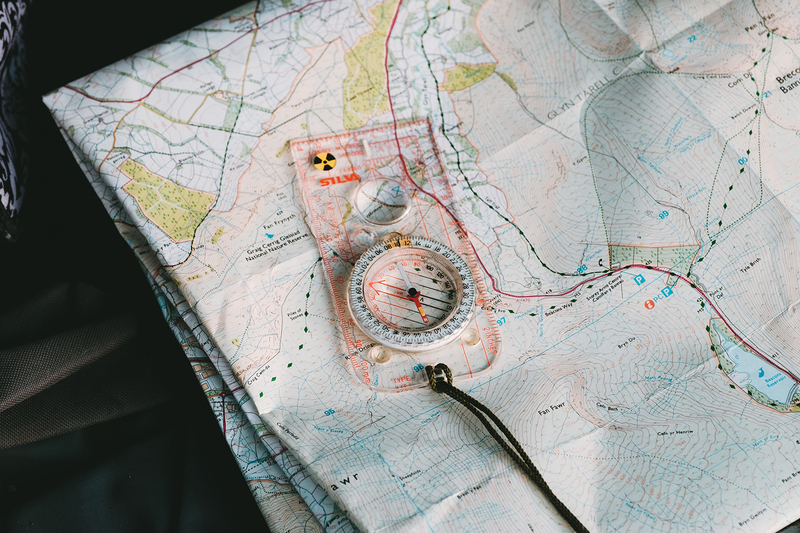 Important tasks are more internally focused, whether professional or personal, getting to them might make your life easier, maybe someone else's life too or it might have some other seemingly self-serving benefit. But again, because we care what others think, we push these down the list. We all have tasks we feel obligated to do or have a compulsion for, they add to our sense of purpose to complete them but what do they give us? For example, achieving inbox zero. Yes, it feels good. Yes, it makes you busy, but it doesn't move you closer to your goals. 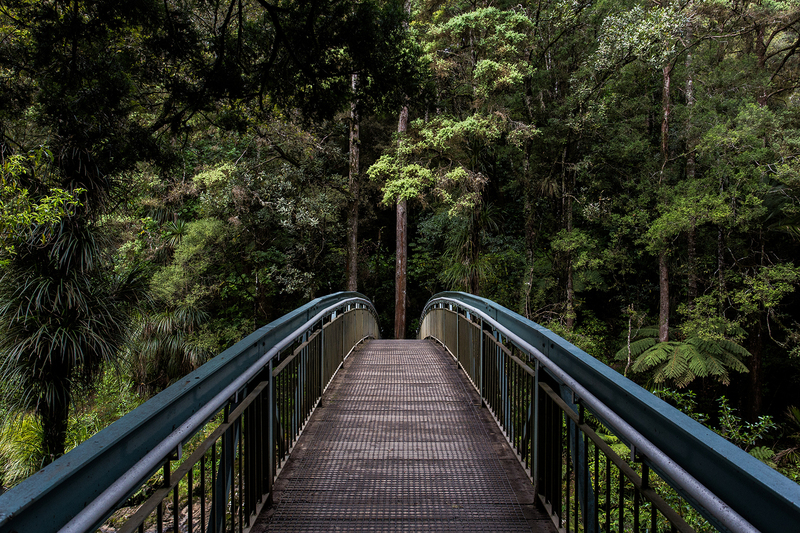 If there was ever a framework that would be worth borrowing to help you really make progress in your life, it makes sense that it would come from former US President Dwight D. Eisenhower. This resulted in the development of the Eisenhower Decision Principle which teaches you to evaluate the tasks you have in your to-do list according to whether they are important/unimportant and urgent/non-urgent. Whether you left it to the last minute or it surprised you, this is a task you need to do yourself, and you need to do it now. These tasks will add value; they help you achieve your personal and professional goals. You can do them later but make sure you set aside time for them, so they don't become urgent or get left behind altogether. These are tasks that need doing, but they get in the way of you achieving your goals. If you have the luxury, you should delegate these tasks, otherwise, work out how to make them easier. Anything that is repetitive, you might be able to automate (Zapier anyone?!). Delete these from your day. Although some of them might be therapeutic (e.g. watching an episode of your favourite series on Netflix) others are just endless time sinks (social media) or busy tasks (achieving inbox zero). How to prioritise when everything is important and urgent? Determine the three most important tasks and focus on those. If even that is too much, just pick one. Push all the others to the back of your mind and put all your energy into addressing this/these tasks as efficiently and effectively as possible, so that you can then move on to the next task. Once you have your tasks selected, it is simply a matter of using focus booster to help you get through them. The pomodoro technique is perfect for helping you maintain focus, avoid distractions and make progress. Identify which of these tasks could have been predicted. 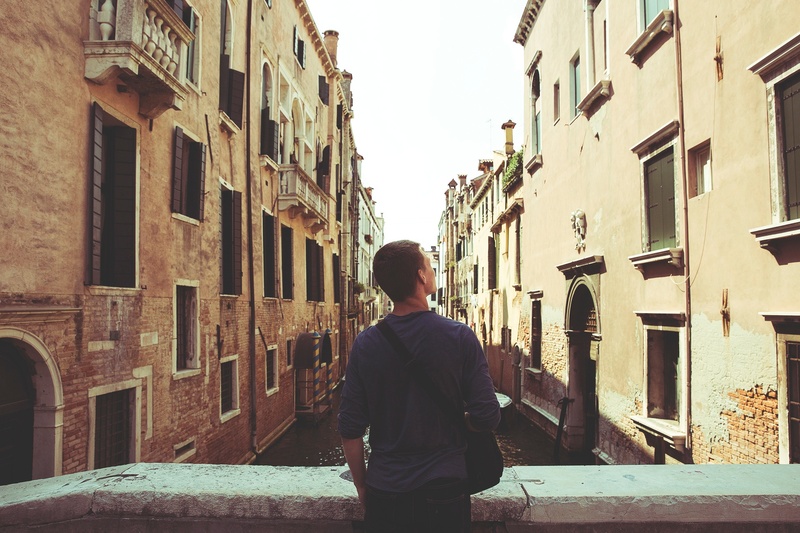 Determine how in future you could plan to better to avoid some of these situations. Do you need to work on avoiding procrastination? How can you improve communication with clients, colleagues, friends and family to avoid these situations? Let's not get into this too far (there surely is another blog post in this), but it is worth discussing briefly some people's need to be insanely busy. What does being busy hide, or prevent you from realising and what is the effect of being so busy on productivity? The short answer is, it prevents you from questioning whether you are happy and if you have a purpose in life. That is why it is important to assess your to-do list using the Eisenhower matrix or another system for task prioritisation. Delete your 'busy' tasks, reflect on what is paramount to you, work towards that and you will begin to gain clarity over what truly makes you happy. Here are the links, if you are interested in how being busy effects productivity or the psychology behind being crazy-busy. 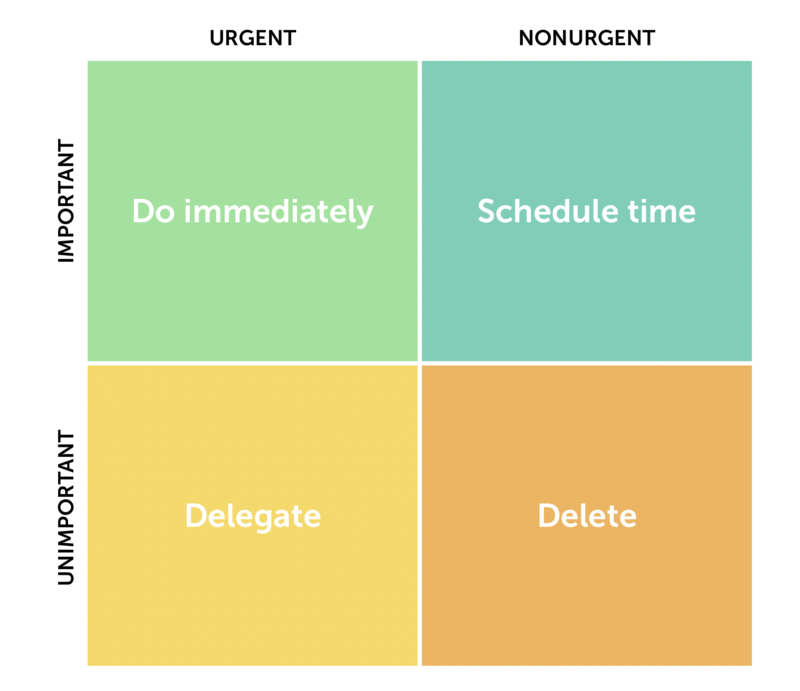 Once you have experience with the Eisenhower Matrix (and you have focused on planning and communication to reduce your important and urgent tasks), you should have the headspace be able to focus on more of your important and nonurgent tasks. Now, it is time to make sure you have a purpose in your day. That way you can take a step toward achieving your goals every day! We have put together a PDF of an Eisenhower Decision Matrix for you to work through but further to this we have created another version of our pomodoro planning sheet to help you better implement both techniques together. What are you waiting for? Use the simple steps outlined in this post to determine your important tasks and start working toward your goals. Today. Written in 8 pomodoro sessions, start making real progress in your life today.